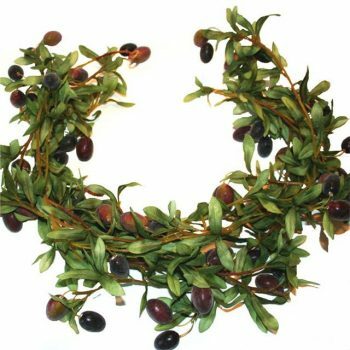 Add a taste of the Mediterranean to your indoor or outdoor space with our artificial fruit garlands. It might not be the climate for growing grape vines and olives, but at Shelf Edge, we’re not going to let the weather get in your way. 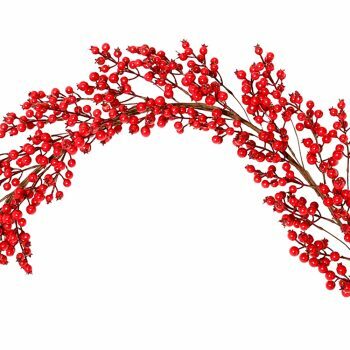 We have a beautiful selection of artificial fruit garlands that look just like the real thing. You’ll love our green and red grape vines to our olive and apple garlands. 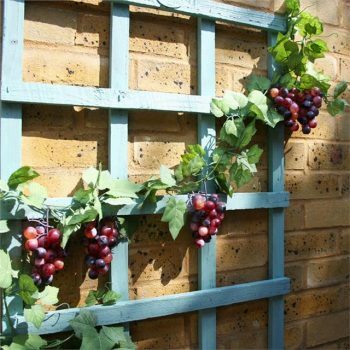 We have just what you need to create your very own vineyard or orchard in your outdoor space. 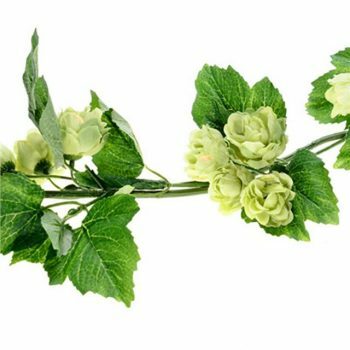 Our artificial fruit garlands will look their best come rain or shine. Whether they’re used as an adornment for a trellis or to add a splash of colour to your decking. There’s also no pruning, watering or careful training. Instead, simply give them an occasional dust and they’ll stay at their resplendent best year after year. 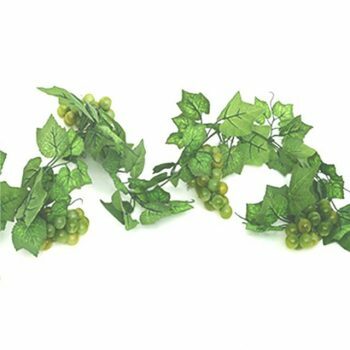 Alternatively, why not use our artificial fruit garlands as decoration for a celebration, special occasion or simply to being a touch of the outdoors to your interiors? Whatever the purpose, you can order online at Shelf Edge today. Simply add your choice of fruit garland to your basket and complete your purchase online for fast UK delivery. We also offer a seven day returns policy and a 100% customer satisfaction guarantee.